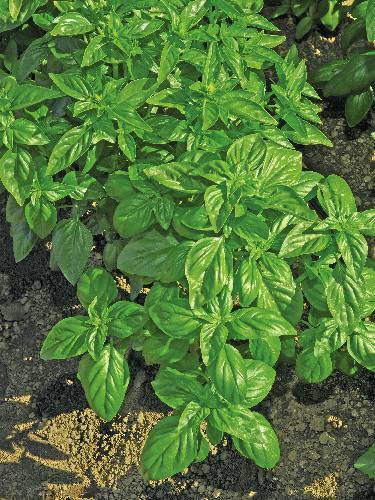 This is a nice compact Genovese basil well suited for pot production and for fresh cut use in the field. Large, dark green glossy leaves on thick sturdy stems. High yields and slow to bolt. Has intermediate resistance to fusarium.